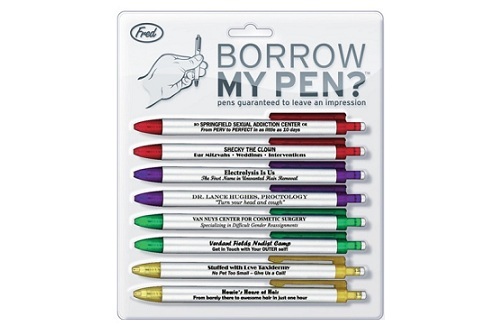 Do you hate lending out your pens, only to have them disappear forever? Next time, reach for one of these. Hand ‘em out to your friends, your parole officer, your boss. 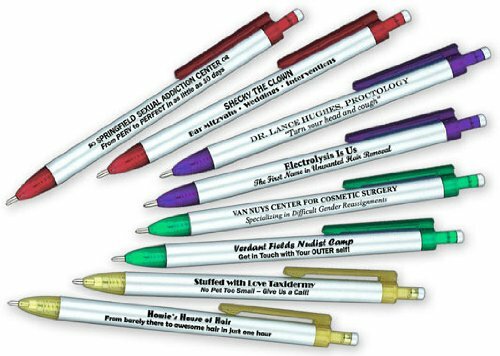 Set of 8 Pens, you’re guaranteed to leave a lasting—albeit embarrassing—impression. And you’ll definitely get your pens back this time.